← BLURPPY’s HOLIDAY GIFT GUIDE: Part Deux – Books, Books, And MORE BOOKS! Ok, so here are some gifts that you should give to those that are close to you. By doing so you will also be able to partake in the joy that they will bring. Take a look….take your pick. There is no denying the brilliance to Nolan’s vision for the Dark Knight. This Ultimate Collector’s Edition is the perfect gift for fans for a few different reasons. 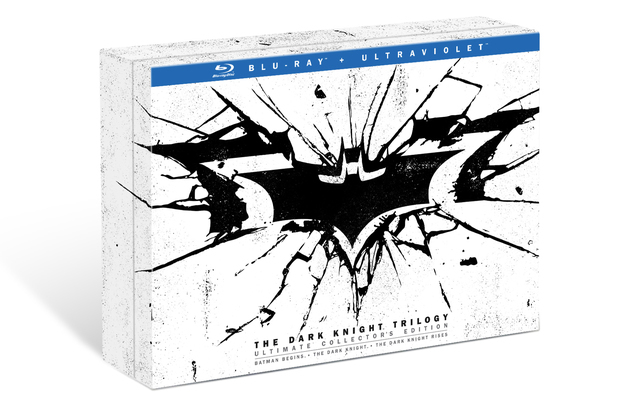 The Ultimate Collector’s Edition includes two fresh featurettes, exclusive collectible memorabilia and UltraViolet copies to download a stream in high definition. It comes with a 48-page hardcover book featuring production stills and behind the scenes images from all three movies. New extra ‘The Fire Rises’ will take fans behind the scenes of The Dark Knight Trilogy, looking at the impact of the movies with special contributions from Guillermo Del Toro, Damon Lindelof, Michael Mann, Richard Roeper and Zack Snyder. Christopher Nolan & Richard Donner: A Conversation will see Nolan and the director of 1978 classic Superman: The Movie discuss their experiences in bringing iconic comic book characters to the big screen. One of our FAVORITE features is that it also includes newly commissioned collectible art cards by one of our favorite artists, Jock, featuring Scarecrow, Joker, Bane, Harvey Dent, and Ra’s al Ghul. 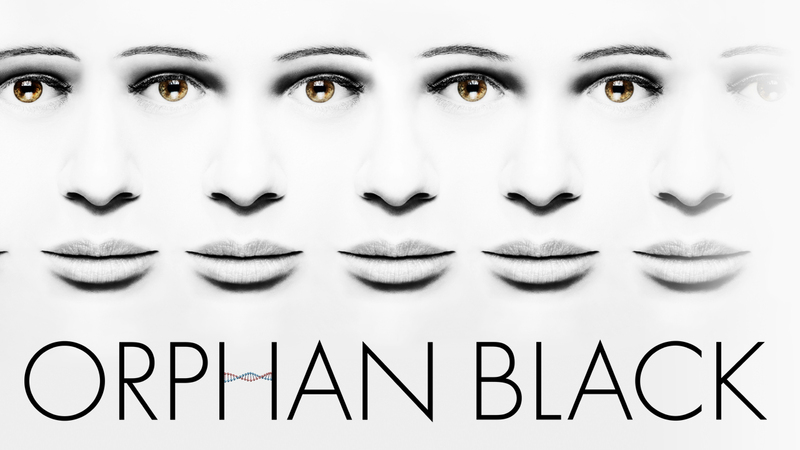 Orphan Black Season 1 There is no denying that the BBC knows how to create excellent television. They have a long track record of fan favorites and their newest is Orphan Black. This action thriller stars newcomer Tatiana Maslany as an orphan, an outsider who can’t seem to catch a break. Then, one day, she witnesses the suicide of a woman who looks exactly like her and her life instantly changes forever. Sarah (Maslany) hopes that cleaning out the dead woman’s bank account will solve all her problems. Instead, her problems multiply – and so does she. Experience a whole new side of BBC AMERICA with the channel’s original scripted series, Orphan Black, the exciting and ambitious new addition to their Supernatural Saturday programming block. Sarah assumes the dead woman’s identity, her boyfriend and her bank account. But instead of solving her problems, the street smart chameleon is thrust headlong into a kaleidoscopic mystery. She makes the dizzying discovery that she and the dead woman are clones… but are they the only ones? Sarah quickly finds herself caught in the middle of a deadly conspiracy and must race to find answers about who she is and how many others there are just like her. The acting is top notch, (even earning Maslany a Golden Globe nomination) and the story is suspenseful and action packed. Once you start with episode one, you will TEAR through the entire first season. Good news is you won’t have to wait long for more Orphan Black. Season 2 is scheduled to begin in April 2014. 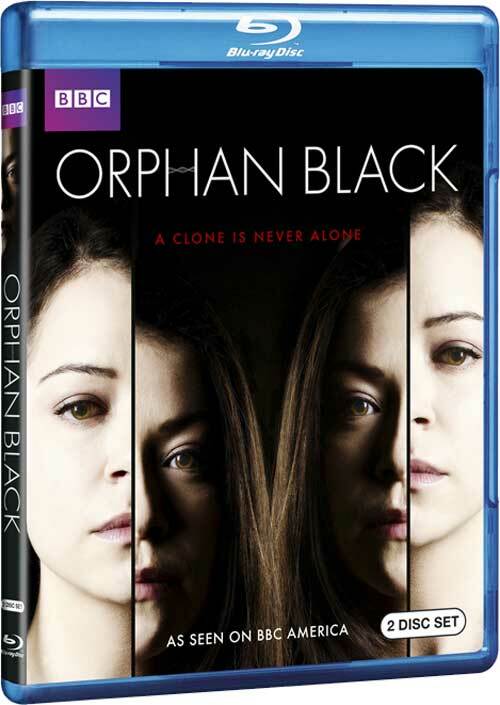 You can buy season one of Orphan Black HERE. Hmmm…let’s see, what is awesome about this one…..how about EVERYTHING! Narrated by one of film’s greatest “villains”, Christopher Lee, this one features the spotlight on the importance of the guys from the other side of the tracks, the bad guys. ‘Necessary Evil: Super-Villains of DC Comics’ explores the thin line between right and wrong, the nature of evil and how super-villains can reflect society’s dark side as well as our own personal fears. It also attempts to uncover the reasons why comic book fans are so fascinated by the very characters they hope to see defeated. 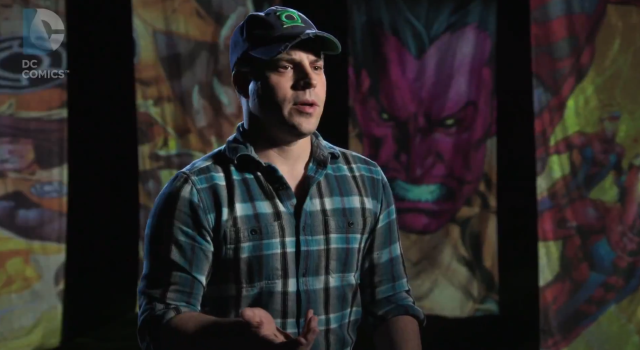 The film focuses on DC Comics’ most terrifying villains, including The Joker, Lex Luthor, Bane, Black Adam, Black Manta, Catwoman, Darkseid, Deathstroke, Doomsday, General Zod, Sinestro, the Suicide Squad, and others. Also included are interviews from over forty subjects, including DC comic book writers, artists, executives, filmmakers, comic experts, critics, historians and celebrities. 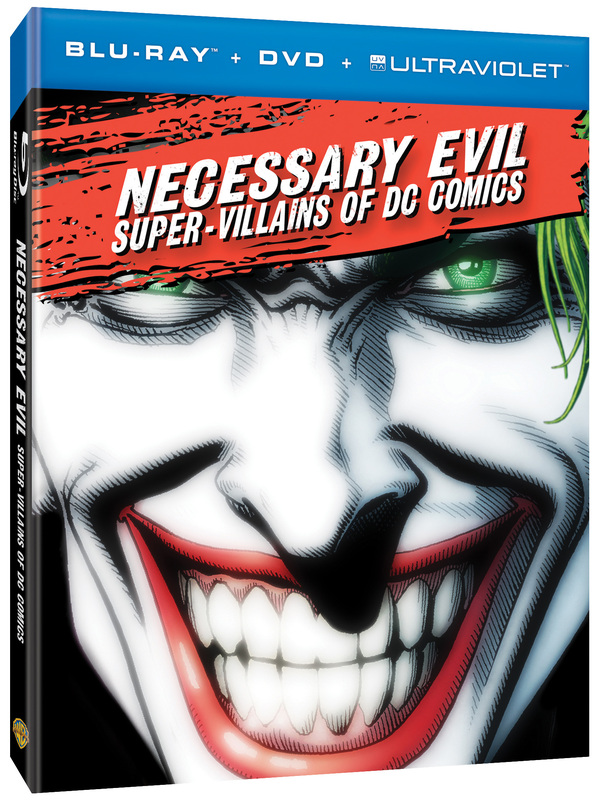 ‘Necessary Evil: Super-Villains of DC Comics’ contains footage from DC Entertainment’s animated series, TV shows, video games and live action films, as well as spotlighting hundreds of covers, pages and panels created by DC Comic’s legendary artists. It’s a unique documentary that is WELL worth watching. You can order it HERE. 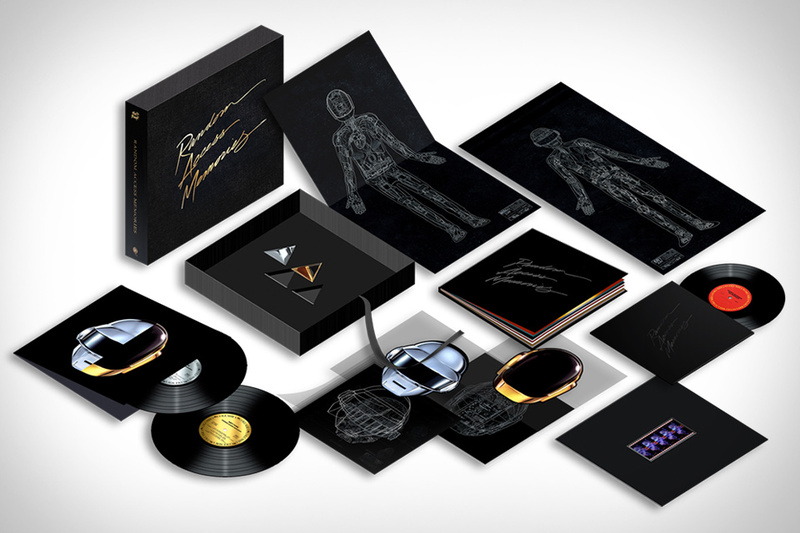 Daft Punk: Random Access Memories Box Set. 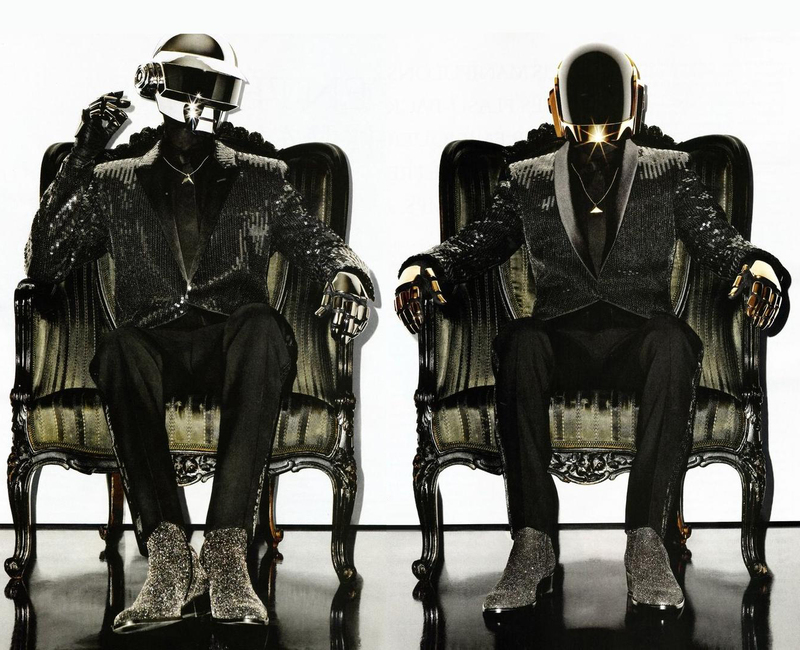 This past may the robot rockers released their latest album: Random Access Memories and it was blasting from every radio all summer long. Now, if you have the cash, you can own a very extensive box set that has a bevy of special features. You can order your box set HERE. 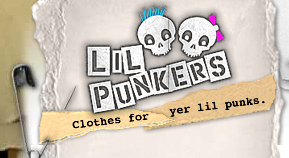 Lil Punkers – (Clothes for kids with attitude.) Tired of your basic, run of the mill clothes for your little ones? Did a friend or family member just have a baby? Trying to keep your kids off the One Direction bandwagon? Well fret not because you are not alone. There is a whole generation of parents cringing over today’s music. Parents who believe that kid’s should have swagger too and because of this, we have the perfect solution for you. Lil Punkers was established to provide punk rock inspired clothing for kids, babies and toddlers. Their quality products will make any kid look as cool as Sid Vicious or Joey Ramone and they will be the envy of ALL their lil friends. Whether you are looking for something for babies, toddlers or kids, boys or girls, Lil Punkers has them covered and covered in style. Way better than a Bieber tee or a rainbow onsie, these things are as cool as the music they represent. Oh, and MOM’s….YOU can get in on the action with their awesome tote bags. Head over to the Lil Punkers website and order some coolness HERE. 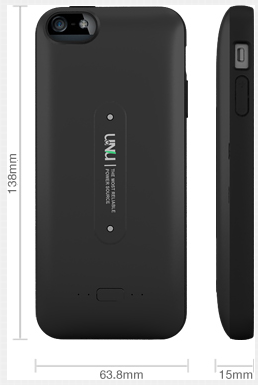 uNu Aero Wireless Charging Battery Case and Mat for iPhone 5S / 5 Let’s be honest, wires are a pain in the arse! 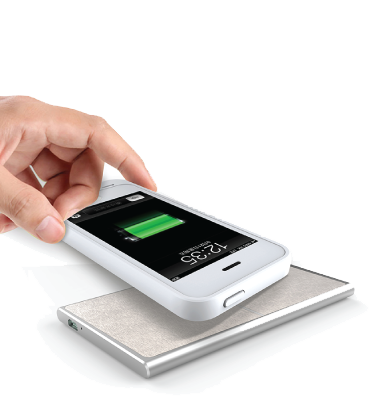 The Aero is the first wireless charging system which utilizes specialized charging nodes to charge the phone. Never worry about charging cables again! The uNu Aero wireless battery case and charging pad for iPhone 5S/5 feature the newest advancements in wireless charging technology. The Aero battery case charges wirelessly. Straight from the Aero charging pad. No wires necessary! Simply place the Aero case on the charging mat and the phone will begin to charge. With a 2000mAh buit-in battery, the Aero is powerful enough to provide an additional 100% charge to your iPhone 5 and 85% to your iPhone 5S, which means more talking, texting, and browsing. In fact, the Aero can add up to 10 hours of additional talk time, or 270 hours of stand-by time. 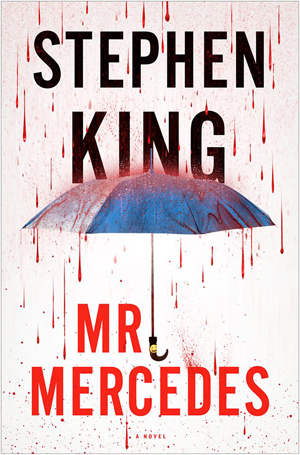 Preorder Stephen King’s next book, Mr. Mercedes Next year Scribner will be releasing Stephen King’s next book, the 500 page, Mr.Mercedes. Now even though you won’t be able to literally put it under your tree, you can rest easy by placing your preorder for it now along with an exclusive slipcase from the fine folks at Cemetery Dance. 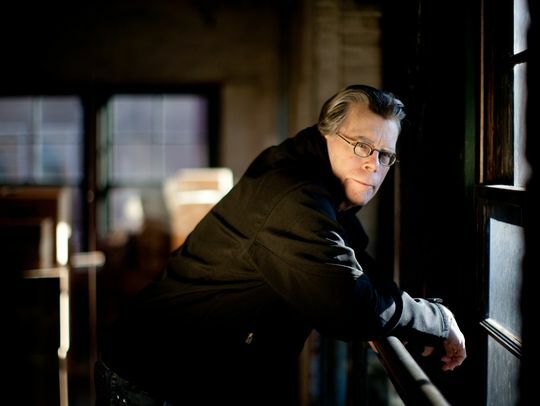 Stephen King + new novel = grand slam! Preorder your copy HERE. Belkin’s QODE Ultimate Keyboard Case for iPad Air. PC Magazine has already given it the coveted “iPad Accessory of the year” moniker. 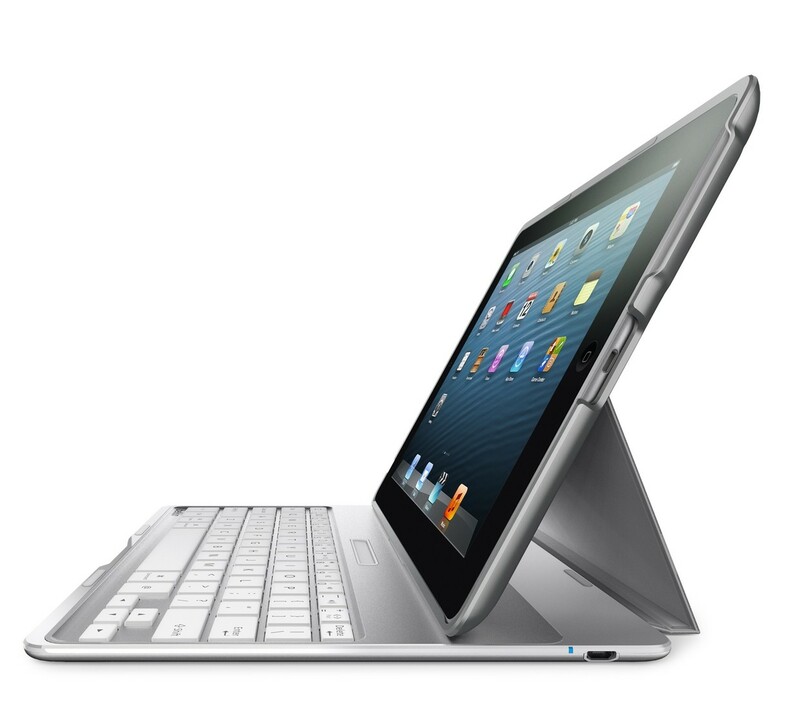 Made of aircraft-grade aluminum alloy, the QODE Ultimate Keyboard Case is lighter than the iPad itself. The Ultimate is thin enough to slip easily into a backpack or purse and offers dual sided protection so you can keep your favorite device as shiny and new as the day you bought it. The perfect accessory for the perfect gadget. You can order yours HERE. JBL Pulse portable, Bluetooth speaker. You may have caught our previous gift guide where we mentioned a whole bunch of awesome portable gadgets but there is one more we feel compelled to mention. The Pulse by JBL offers that signature superior JBL sound but it also has a trick up its sleeve. It also comes to life offering a fantastic light show. Why live one-dimensionally when you can experience so much more? Imagine bringing your music to life – enhancing your sound experience with glowing, multi-colored visuals – wirelessly! 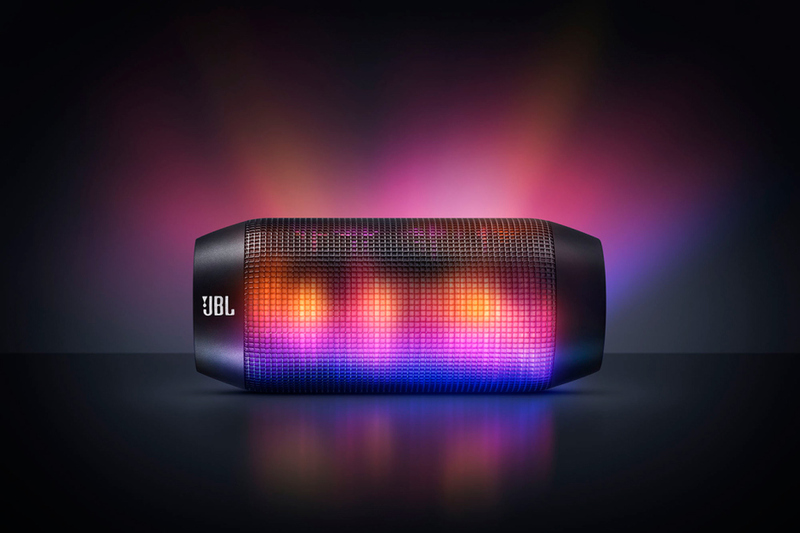 Meet the multi-dimensional JBL Pulse – capable of transforming wherever you are into a party – featuring high-fidelity, room-filling JBL sound pulsed to a series of pre-programmed light themes controlling brightness and color plus wireless Bluetooth® for ease of connection to a wide range of smart devices. Download more color themes and keep the party jumping. JBL Pulse will change the way you enjoy the soundtrack of your life. Let JBL Pulse light your way. Light up the night and dance the night away with the JBL Pulse. You can purchase yours HERE. This entry was posted in Apple, Books, DC, DVD/BLU RAY, Gadgets, Music, Stephen King, Tech, TV and tagged Aero wireless battery case, BBC, belkin, Christopher Nolan, Daft Punk Random Access Memories Box Set, DC, JBL Pulse, Lil Punkers, Mr Mercedes, Necessary Evil, Orphan Black, QODE Ultimate Keyboard Case, Stephen King, Tatiana Maslany, The Dark Knight Ultimate Collector's Edition. Bookmark the permalink.